1Department of Biochemistry and Molecular Biology, School of Life Sciences, Central China Normal University, Wuhan, Hubei, P. R. China. 2Department of Biology, College of Science and Technology, University of Rwanda, Kigali, Rwanda. 3Department of Microbiology, Balkumari College, Tribhuvan University, Chitwan, Nepal. *To whom correspondence should be addressed. E-mail: boscomunyangeyo@gmail.com. Received 01 July, 2018; Received in revised form 19 July, 2018; Accepted 23 July, 2018. Hand hygiene, Extended-spectrum beta-lactamase, Methicillin-resistant Staphylococcus aureus. This study was aimed at determining the presence and level of microbial contamination associated with mobile phones. Fifty different samples of swabs from mobile phones were randomly collected from the students of College of Science and Technology, Kigali, Rwanda. Samples were collected from Muhabura and KIST II blocks from January to June, 2017 and were analyzed using standard microbiological techniques. Microbial analysis showed that 35 non-disinfected samples were contaminated by six different types of bacteria. The majority of the phones were contaminated by coagulase-negative Staphylococci (CONS). Salmonella spp. was the least isolated bacteria from mobile phones. The mobile phones of students from Muhabura block were found to be more contaminated (48.4×103 cfu/ml) than those from KIST II block (21.2×103 cfu/ml). On antibiotic susceptibility testing of the isolates, S. aureus (12.5%), Escherichia coli (21.1%) and Klebsiella spp. (20.0%) were found to be multi-drug resistant. S. aureus (33.3%) was found to be methicillin-resistant S. aureus (MRSA). Furthermore, E. coli (37.5%), Klebsiella spp. (37.5%) and Enterobacter spp. (25.0%) produced extended-spectrum beta-lactamase (ESBL). 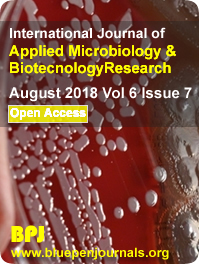 Significant associations were noted between the rate of incidence of bacteria with various aspects such as the gender and behavior of mobile phone users (p<0.01). This study indicates that mobile phones can carry potentially frightening bacteria which can cause severe health hazards to users. Alertness of regular disinfection of mobile phones, avoiding their use in contaminating areas like toilets and hand hygiene is recommended.